I’m used to dealing with amplifiers. One look through the pages of any issue of Hi-Fi+ shows just that; my house regularly becomes cardboard and crate city this month. So, although there are models that impress, ones that really hit home are quite rare, and ones that actually shock you at how good they really are don’t come along that often, especially ones in the ‘doesn’t cost as much as a nice Mercedes’ category. I was expecting good things from the Primare I35 – the brand has a good reputation for making fine electronics – but frankly this one has me stumped. How did Primare make something this good... and it really is good! 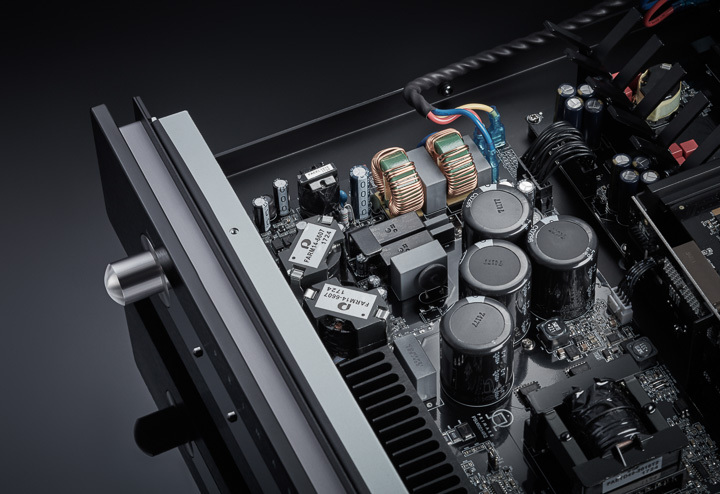 The I35 is the first amplifier from the brand to feature its UFPD 2 amplifier modules, as distinct from the original UFPDs fitted to the last generation and models like the A60 power amplifier that remain on the order books. UFPD stands for Ultra Fast Power Device, an amplification module in a balanced configuration of four discrete amplifiers – two per channel. This Class D device has long provided instantaneous current delivery and extremely low distortion, but in its new UFPD 2 guise really lives up to that ‘Ultra Fast’ part of the acronym. It also means Primare can make a true 150 watt per channel amplifier in a relatively small chassis without making the box hotter than the surface of the sun. Although we went amplifier-only purist at this time, the I35 is an extremely modular design, allowing a series of add-on board options to bring the amplifier from base model, through I35 DAC (with modular DAC board added) right through to I35 PRISMA (which adds a wired and wireless streaming board to the I35 and DAC option). While this takes the I35 into bold new places, there are a number of different system pathways and options, all of which are harder to justify if the top banana I35 is selected as standard. For example, you could configure the I35 as standard and use the matching CD35 PRISMA as digital hub, and connect via the analogue inputs to the I35, or you could do the same, but this time connecting the CD35 PRISMA to the optional DAC, place the PRISMA module in the amplifier, and connect the CD35 via digital or analogue inputs. Or, you could even opt for the DD35 CD transport and connect to the I35 DAC or the I35 PRISMA. Maybe in the future, Primare will add a phono stage module, and the number of optional combinations will achieve peak modularity! Rather than opt for one of the variations, we went for the base platform. That being said, it’s not exactly ‘base’; with two sets of XLR balanced inputs, three RCA single-ended line inputs, and both fixed and variable outputs (hey, there might still be some people with cassette recorders... but more accurately this is for a home cinema processor).